The purple bell peppers are a favorite of ours to grow because they start out purple. 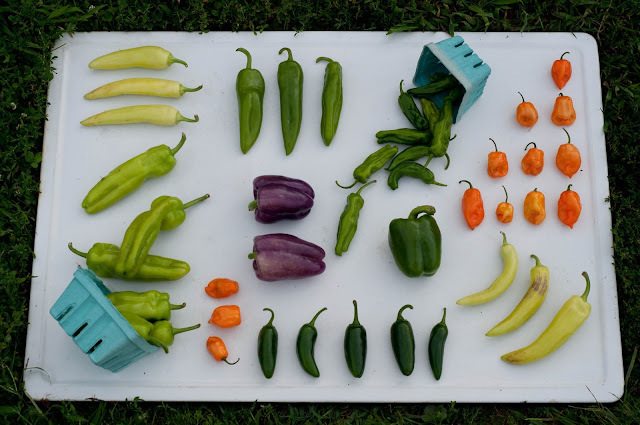 It's amazing to have some color in the pepper display early in the season as we wait for the red and orange peppers to ripen. The variety we grow is called Islander which makes me love it even more. How fitting for a flashy purple pepper. 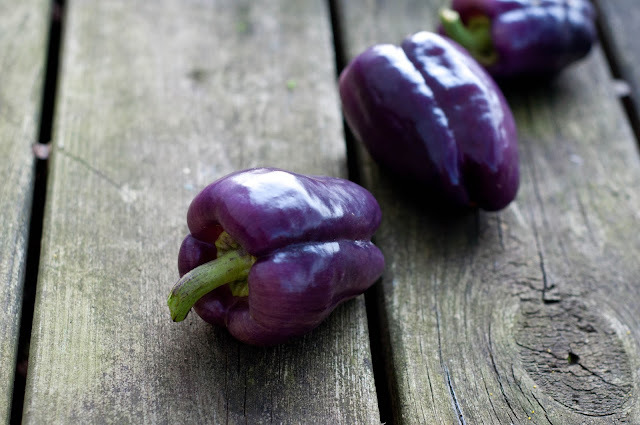 As far as taste goes it's very similar to a green bell since these peppers start purple as opposed to aging to purple. They will eventually turn red if left on the plant.